Giving your baby their first bath is an exciting milestone and bonding time for parent's and newborns. Of course, it becomes a little less exciting if you little one starts screaming at the top of their lungs. It's important to try to make bath time as enjoyable as possible right from the start. So here are some tips for making baby's first bath enjoyable. 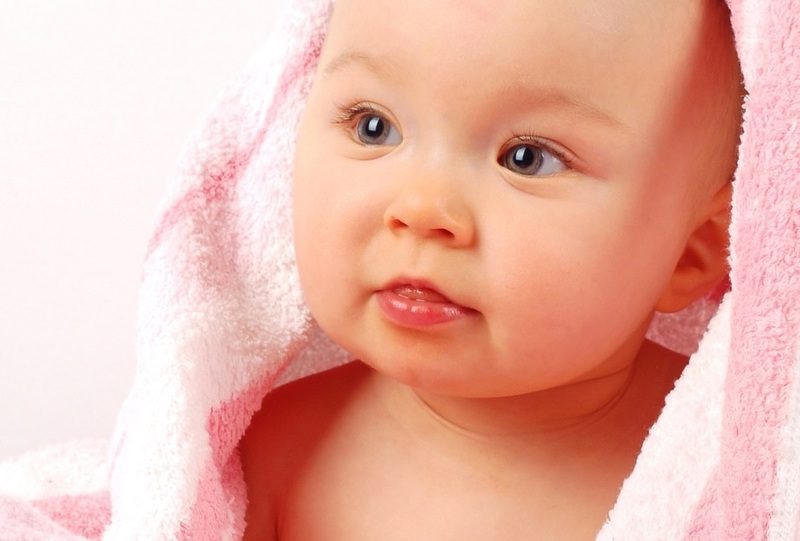 When should baby get their first bath? It's important not to give baby a bath until after the umbilical stump has fallen off. Doing so before hand could lead to serious infection or other problems. Before the umbilical stump falls off, you can wipe baby clean with a damp cloth. Once your baby has lost the stump and is ready for a bath, try giving them their first bath at a time of day when they are already in a good mood. Doing bath time when baby is already cranky is a recipe for disaster. While you may want to use that adorable baby bath tub you got, your baby may not feel the same way. They often feel much more secure if mom or dad gets in the bath with baby. Make it an enjoyable bonding time with cuddles and you can even nurse right there in the tub. Yes, you may get peed or pooped on but it won't be the last time that happens. Having some new toys that your little one has never seen before can help distract and entertain baby during bath time. Keep these toys aside as a special treat to play with when baby gets to take baths. NEVER EVER EVER leave a baby unattended in the bath. Not even for a second. That's all it takes for a horrible accident to occur and it happens more than it should. Don't let baby inhale water as this could lead to 'dry drowning' or drowning after getting fluid in the lungs which can happen up to 24 hours after the incident. If you do choose to take a bath with the baby, never get into or out of the bath while holding your little one. You could potentially slip and cause injury, or death, to one or both of you. Have someone help hand you and take your baby. Only use bath products and lotions specifically made for baby's skin, other products could cause adverse reactions.